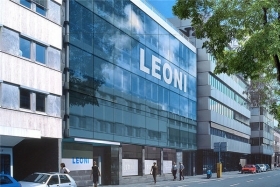 Leoni expects to finish 2010 with an EBIT of 50 million euros. NUREMBERG, Germany -- Leoni AG said it is opening a plant in Jining in northeast China's Shandong province to produce wire harnesses for General Motors Co. and other customers. The 23 million euro facility will initially employ 1,600 workers when it opens at the end of this year. Later, the 25,000-square-meter plant will boost employment to 3,000 workers. Leoni also will take full ownership of two plants in Weihai and Penglai that it operates under a joint venture with its Chinese partner, Daekyeung. Including those two joint-venture plants, Leoni now has 11 facilities in China that employ 6,000 workers. The company says China is its third largest market -- after Germany and France -- with sales this year expected to total 3 billion yuan.